Kamdebo offers excellent self catering accommodation as well as B&B in the luxurious, fully equipt 4 sleeper Kamdebo Suite, which is also popular as a honeymoon suite. The exquisite Taaibos cottage sleeps 7 and the rustic Wag-'n-Bietjie chalet sleeps 8. 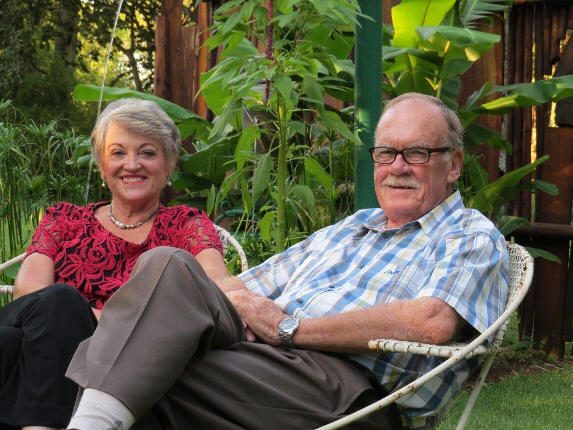 Kamdebo is a 20 minute drive from the ever popular town of Parys with its hustle and bustle of antique - art – and coffee shops as well as wonderful restaurants. The spectacular golf courses, like Parys, Vaal de Grace, Riviera on Vaal and Maccauvlei are only 20 to 30 minutes away. 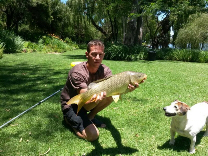 The Vaal River offers great fishing opportunities, and our guests are welcome to fish. 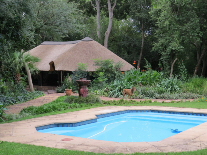 We are situated on the Vaal Birding Route and is a Bird Friendly Establishment. 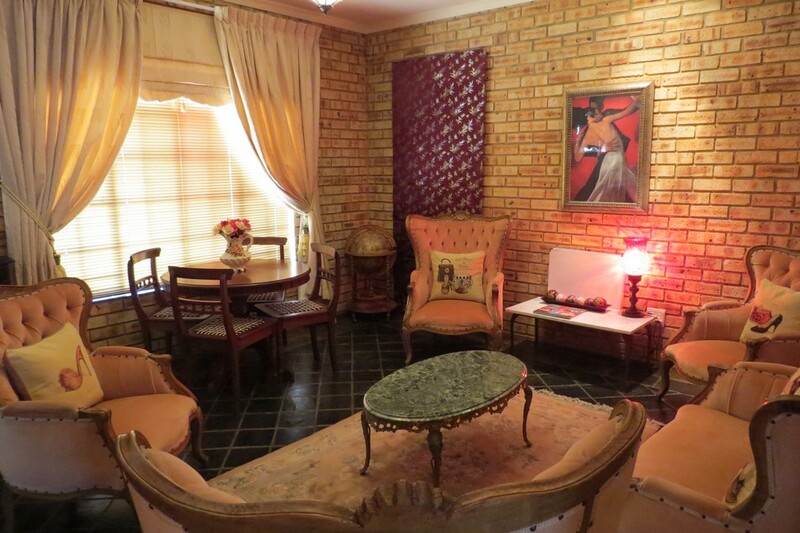 For that welcome break away into the country side, the answer is Kamdebo-on-Vaal! Sorry, we are not a pet frendly establishment. 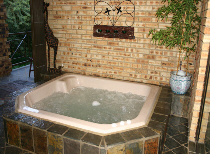 Have a wonderful relaxing time in the Jacuzzi. This facility must be booked and are charged at an additional fee. Lovely shaded banks with lushes green lawns. Max 2 rods per person. Ideal for those hot summer days. Designed by Parys Internet & Websites.